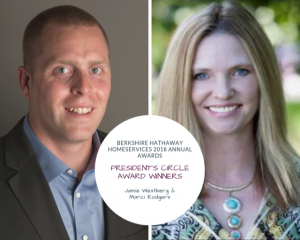 And, finally, CONGRATULATIONS to our office’s winners of the Berkshire Hathaway HomeServices 2018 President’s Circle award! 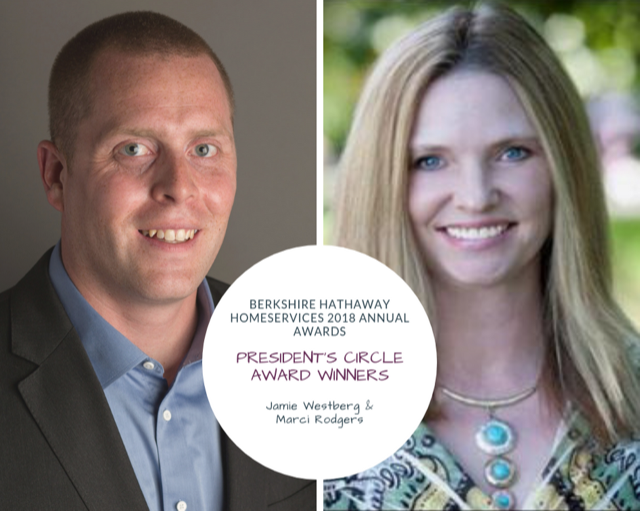 These two agents are in the TOP 5% of all agents in the Berkshire Hathaway HomeServices network, which has over 47,000 agents and 1,400 offices in 47 states! Kudos to you, for a job excellently done, Jamie Westberg and Marci Rodgers!! !